Set high in the hills amongst dramatic boulders, the organic-shaped buildings of Singita Pamushana Lodge are reminiscent of Great Zimbabwe. 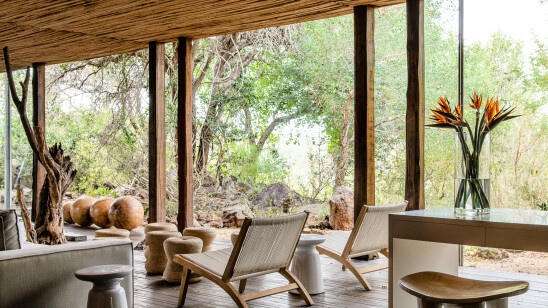 The thick walls, meticulous thatching and detailed stonework lay the foundation for bold interiors, inspired by local Shangaan culture. There are six palatial suites and a five-bedroom villa, all with private plunge pools and views across Malilangwe Lake.